SINGAPORE (March 8): Kimly Group, one of the largest traditional coffeeshop operators in Singapore, is capital markets to raise funds to grow its business operations. In conjunction with its Catalist listing, Kimly is selling 173.8 million new shares at 25 Singapore cents each. 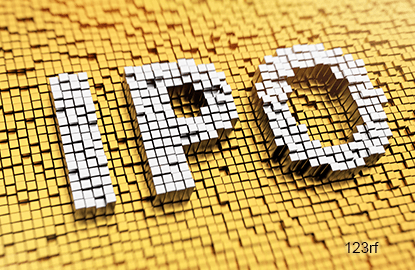 These consist of 3.8 million shares for public subscription and 170 million placement shares. Together they represent 15.1% of Kimly’s enlarged share capital of some 1.2 billion shares. Kimly plans to use the IPO net proceeds of S$40.4 million for acquisitions, joint ventures as well as general business expansion; renovation of its existing food outlets; expansion of its corporate HQ and central kitchen; and development of technological capabilities and productivity initiatives. Based on the invitation price of 25 Singapore cents, Kimly will have a post-invitation market capitalisation of about S$289 million. PrimePartners Corporate Finance is the issue manager and sponsor, while UOB Kay Hian is the underwriter and placement agent for the IPO. As the master leaseholder of the food outlets under its management which includes coffeeshops, food courts and industrial canteens, Kimly leases food stalls to tenants, operates the drinks stalls within the food outlets as well as manages and provides cleaning services in the food outlets. Of the 64 food outlets, 56 coffee shops and three industrial canteens are operated under the Kimly and third-party brands while the other five food courts, located mainly in tertiary institutions, are managed and operated under the “foodclique” brand. The group also operates and manages 121 food stalls islandwide comprising 36 mixed vegetable rice stalls, 10 Rice Garden stalls, two teochew porridge stalls, 43 dim sum stalls, 29 seafood “zi char” stalls and one live seafood restaurant. Group revenue grew at a CAGR of 7.6% from S$148.9 million in FY2014 to S$172.2 million in FY2016 while profit after tax increased at a CAGR of 9.9% from S$20.1 million to S$24.2 million during the same period. The group has no outstanding borrowings. Kimly is recommending an annual dividend of not less than 50% of its earnings. The invitation will close at 12 noon on March 16. Trading of its shares will start at 9am on March 20.